No matter which smartphone brand or operating system you may favor, there’s no denying the Huawei Mate 20 Pro is one of the best smartphones of 2018. 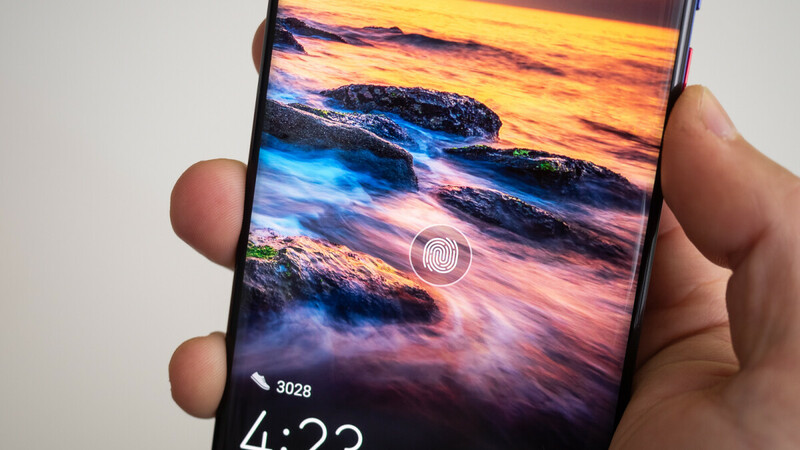 The device boasts an extensive list of high-end specifications and some rather unique features such as reverse wireless charging and an in-display fingerprint scanner. Unfortunately, all of this comes accompanied by a pretty hefty price tag of €1049 ($1198) in Europe. The device was initially announced on October 16 for international markets but it wasn't until yesterday that its official debut happened in China. Here, the smartphone is naturally cheaper due to lower taxes and certain costs that Huawei can avoid. But from the looks of things, the company has also made some modifications to the flagship that bring the price down even further. Retailing at the equivalent of €680 in China, Huawei has announced a version of the Mate 20 Pro that is identical to the international model in every way except one – it lacks an in-display fingerprint scanner. This version is joined by two more expensive models that do include the security feature. However, unlike the former variant, these both include 8GB of RAM. Furthermore, one comes equipped with 128GB of storage while the other ships with 256GB. These are available for the equivalent of €760 and €860 respectively. Due to Huawei’s strategy outside of China, these particular models aren’t expected to go on sale in international markets anytime soon. Instead, consumers will have to make do with the standard Mate 20 Pro model that ships with 6GB of RAM and 128GB of storage. Alternatively, the regular Mate 20 is also available at a lower price point. In my country, Mate 20 pro is priced at 700 euro with a contract and iPhone Xs 64gb is about 950 euro with the same contract. A serious difference having in mind that originally iPhone is priced at $999 and Mate i €1050. I don't care anymore about the prices presented on the events since they are very different if you want to get it with contract. IMO only about 20% of the people are buying flagships without any contract. *Not directly related to the article* I kind of admire PA's writers. Huawei phones (and Chinese phones in general) are difficult to obtain in the US. Probably because people from outside the US visit this site too..
Americans complain about Mate 20 Pro's price in Europe... Ugly Pixel 3 XL(6+128) costs 1050 Euros, too. In my country, Huawei Mate 20 Pro (6GB, 128GB) is selling at €755.40 (currency rate conversion) It is selling like hot cake yesterday, the pre-opening sales reach 1000 people. In middle east, the Mate 20 pro is 790 Euro and Mate 20 is 600 Euro. I may sound totally biased and political but huawei is still under investigation: https://www.theverge.com/2018/4/25/17279856/huawei-iran-sanctions-investigation-justice-department I know, hyped huawei fanboys will go up in arms and say these are just trump gossips and everything but you have to sit and think: what if I am giving up something just because I am too hyped with a product? What if the brand that I trust, who admit cheating intentionally in benchmarks, and misleading marketing materials (pictures taken with dslr, etc.) is indeed violating international trade laws? Sure, mate 20 pro is a great phone, no questions about it but can we trust the company, as a law-abiding institution, with our hard-earned cash? The iran trade investigation is still fresh guys, april 2018. Let's not get too hyped or we might be giving up on something more than our money. That so called trade investigation is for 2012 which Huawei was already punished and fined for. Remember what the US Gov did to ZTE, this exactly the same thing, just the US Gov trying to tell the rest of the world what to do and what not to do. As for your comment on cheating on benchmarks, well allowing a device to run at it's full potential when it detects intensive software is not cheating it's common sense. It's not like GPU Turbo only kicks in when it detects bench marking software, it works for games and other apps too. Working as intended. As for the pictures taken with DSLR, please show me where Huawei claimed those pictures were taken with one of their phones, the answer is they didn't. It's called advertizing, you know like when Apple show you these pictures taken with an iPhone, but what they don't show you is all the studio lighting and professional photographers, assisstants and 20 other crew needed to take those pics that they have spent weeks setting up. It's all smoke and mirrors. You need to get the US Goverments stick out of your behind and stop believing anything outside the US is evil, honestly it's just laughable the way they are able to control the gullable citizens. i got this from china by error is there any method to add the fingerprint scanner or its a hardware thing?